My husband and I love going to the movies. While we can&apos;t get to the theater too often these days because we have two little ones, we try to at least catch the latest Marvel and Star Wars movies when we can find a babysitter. If you&apos;re looking for a unique experience. 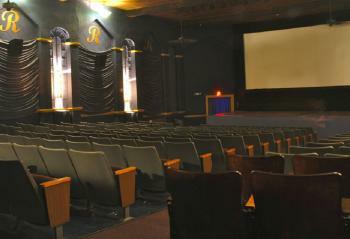 The Royal Theater in Danville is the place to go. My husband and I went to the Royal Theater for the first time to see Solo: A Star Wars Story, and we absolutely loved the retro decor of the theater. Outside, there is an incredibly cool vintage marquee that lights up at night, and inside is decked out with blue velvet curtains and gold accents. In addition to the history of this theater, two other benefits of seeing a movie at the Royal include the price and crowds. Tickets for this theater are just $6 for ages 12 and over and $4 for ages 3-11. Matinee showings (before 6 p.m.) are $4 for both age groups. Ages 2 and under are always free. You also will enjoy the lower prices for refreshments, and most of the time, you don&apos;t have to show up 30 minutes before a showing to get a good seat. The theater also hosts some really neat events throughout the year, including live comedy and concerts. During the summer, the theater offers free movies on Wednesdays at 10 a.m. and 1 p.m. The "Summer Film Festival" includes Smurfs&apos; Lost Village, Emoji Movie, Boss Baby, Despicable Me, Nut Job, Lego Ninjago Movie, Diary of a Wimpy Kid: The Long Haul and Captain Underpants. The Summer Film Festival begins June 6. While you&apos;re in the area, be sure to check out some of the other fantastic local businesses on the Hendricks County Courthouse Square. Located just next to the theater is the quaint Court House Grounds coffee shop as well as Frank&apos;s Place, a family-owned Italian eatery. Other favorites nearby include Seize The Night Designs, Mayberry Cafe, Red&apos;s Donuts, Gallery on the Square and more. If you&apos;re planning to spend some time at The Shops at Perry Crossing, be sure to add a movie at the AMC Perry Crossing 18 to your itinerary. 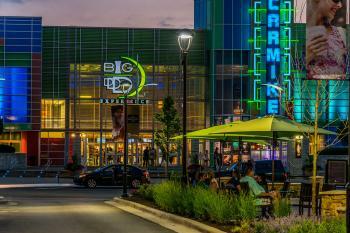 On these hot summer days especially, a movie can be a welcome, air-conditioned break from shopping at the outdoor mall. Be sure to sign up for the Stubs membership, because Stubs members can get $5 tickets on Tuesdays and other special discounts. I also think it&apos;s fun that the theater offers a $5 Icee Coke and popcorn deal for teens. 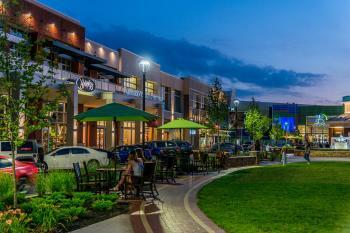 While you&apos;re at The Shops at Perry Crossing, stop by local favorites Stone Creek Dining Company, Schakolad Chocolate Company, Bru Burger Bar, The Stacked Pickle, Rocket Fizz and Sweet Olive & Company, among other shopping and dining favorites. The Regal theater in Avon gets my vote for most comfortable seating. Within the past couple years, the theater put in some amazing luxury recliner seats that are so comfortable you could easily fall asleep during the movie. This theater also offers reserved seating, so if you get online early to book, you can reserve some great seats without having to worry about sitting in the front or back rows if you&apos;re late. Want the best ticket price? Tickets are $7.80 all day Tuesdays. Other discounts include 25% off candy on Mondays and 50% off popcorn on Tuesdays. Be sure to sign up for the Regal Crown Club to take full advantage of special promotions. As Brownsburg residents, we go to the Goodrich Brownsburg 8 GDX most often. We try to take advantage of Thrifty Ticket Tuesday, when you can get $5 tickets for FMG rewards members and $6 tickets for non-members. There are also bargain twilight movies between 4 and 6 p.m. for just $6.25. This theater also offers free drinks refills on all sizes and 50 cent popcorn refills on all sizes. Before you head to the theater, grab some dinner at nearby Boulder Creek Dining Company.